I would be lying if there wasn't a bit of dread and lack of enthusiasm as last week ended and we were loading the TNL gear in the rain on Friday afternoon. 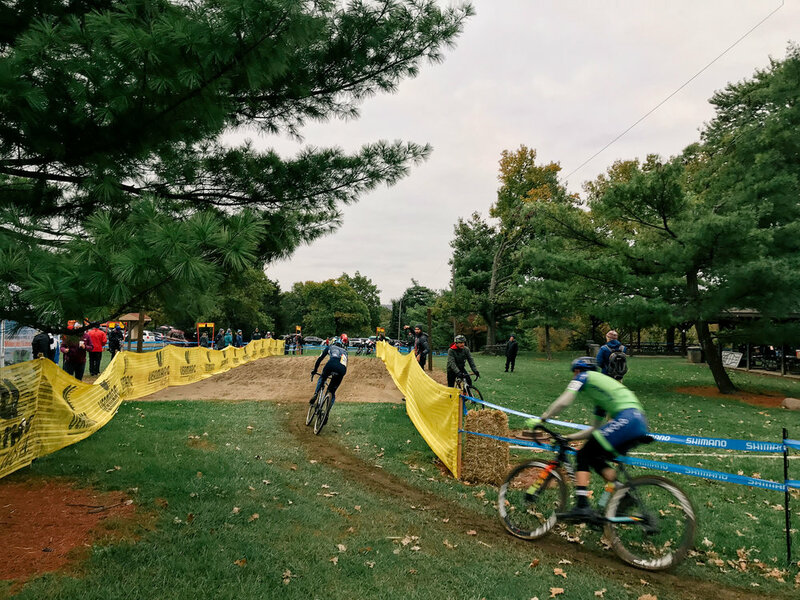 The forecast showed rain and 38 degrees from mid-afternoon Friday through 8am Saturday morning, one hour before the first Cat 5 race and an hour past when we needed to be at the venue to setup. As TNL director and Cat 5 racer, it meant I was surely going to be soaking wet and cold before I even took to the course for a pre-lap. 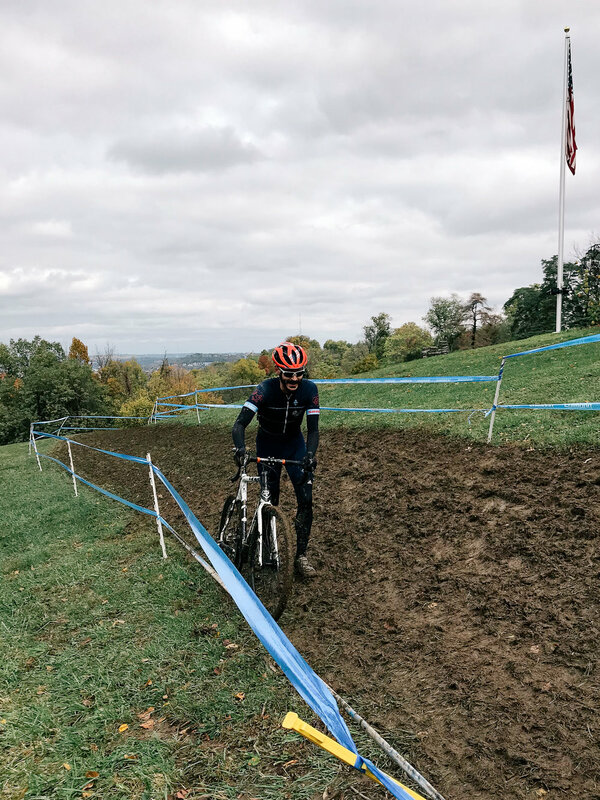 This was one of those weekends when I wish I wasn't in charge, had never made the commitment to sponsor the OVCX, and could either bail on the weekend or just show up and leave any time I pleased. However, the dedication and the excitement of the first big PRO UCI weekend took over and I was met by fellow TNL member, Mike Carsten, at 7:30a to help setup. That camaraderie helped get me in the groove, get things setup, and get ready to have a great day because the weather was going to clear up. And, who doesn't love racing in the mud once you get out there and get going? The older I get, the harder it is to choose to get out in the mud, but once I'm there it's so much fun. 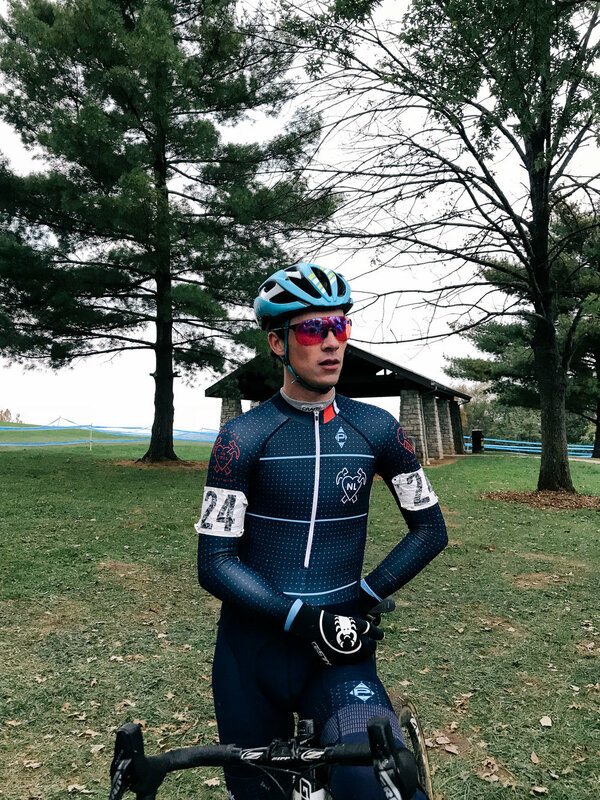 Personally, I had my best CX race to date by getting off the front early with one other rider who traded the lead with me a few times before I was able to get a gap on him after a fall on his part. I was fortunately able to hold that lead for a lap and a half and win by a couple of bike lengths. 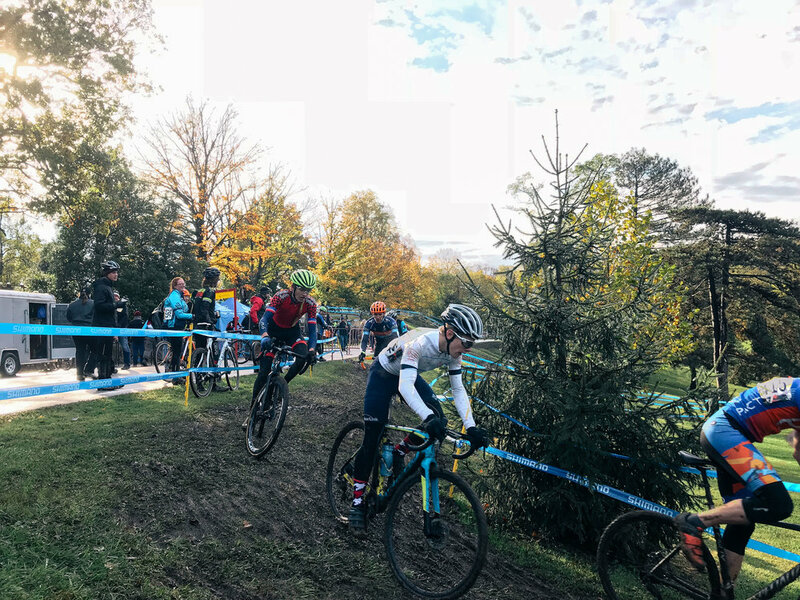 I nearly lost it on the line after having a several second lead heading into the last section of the course due to getting hung up on a stake and him charging really hard to catch me. Fun, wet, and cold race. The Cat 5 race really had the advantage of the lower ranks due to getting the course first before it got chewed up by hundreds of riders lap after lap. The Cat 4 race saw guys going over the handlebars in one section time after time, which led to the first course re-route. 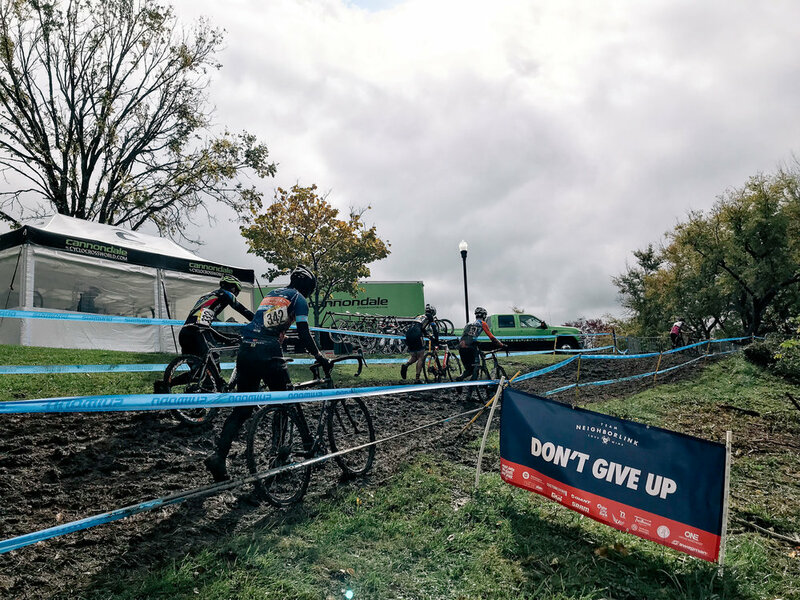 Then, derailleurs started getting ripped off left and right due to the churned up muddy grass that clumped up and the slick off-camber hills. This was a great day to be a spectator as you could hardly recognize guys by mid race due to the mud covered kits. Besides the guys and gals that just don't love mud or felt like they didn't have a good race, there was only joy and laughter as everyone recapped their race and the reality of racing a mudder. Sunday was another story as the course was drastically different and the wind made the same temperatures feel 10 degrees cooler. Devou required great technical abilities, some punch power, and a lot of luck with the mud. Harbin Park just required a big engine and an ability to do some power climbing. Harbin was wide open, had few technical bits, and the combination of the damp and soft grass made the 1k finish line climb taxing on the whole body. Those that were stronger at long, powerful sections could excel as no one was really able to gain some ground on the technical sections. 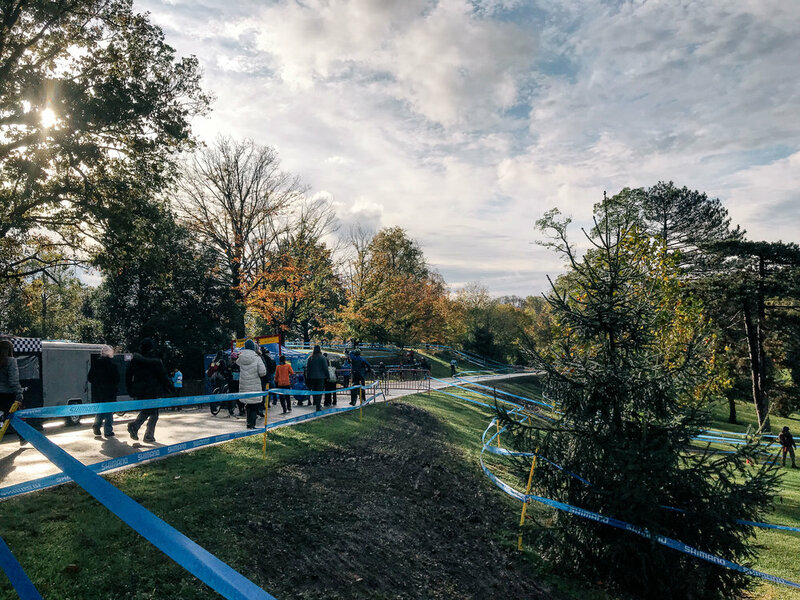 As the day went on, the course got broken in and tacky, which made for the late races including the pro races really fun to watch. Pack racing was present at the beginning of each race, but as a few laps were finished, riders were falling backwards after likely going to hard out of the gate and from the damage from the day before. The TNL tent bunkered in to try to stay warm. We thought we had 4 walls to enclose the 10x10 tent, but we only had 10. We fixed that for this coming weekend. We made the best of it by putting up our signs around the course, including our High Five Handups near our tent. It was right after that long finish climb and by mid race, we were getting all the high fives as riders tried to recover. High Fives and Smiles are always a good recipe for a fun day. Huge thank you to all our teammates, supporters, and people that came by to pick up some gear. We have a blast at these events and are grateful to be able to do this. Our sponsors make this so much easier to do as it allows us to have our tent in the best spots, have the gear we need, and afford to make signs that encourage others. Bike racing is expensive and putting your team in a place to be seen and be supported is hard. Thank you to all our sponsors that help us with operational budget as well as incentives to empower our athletes to raise money. 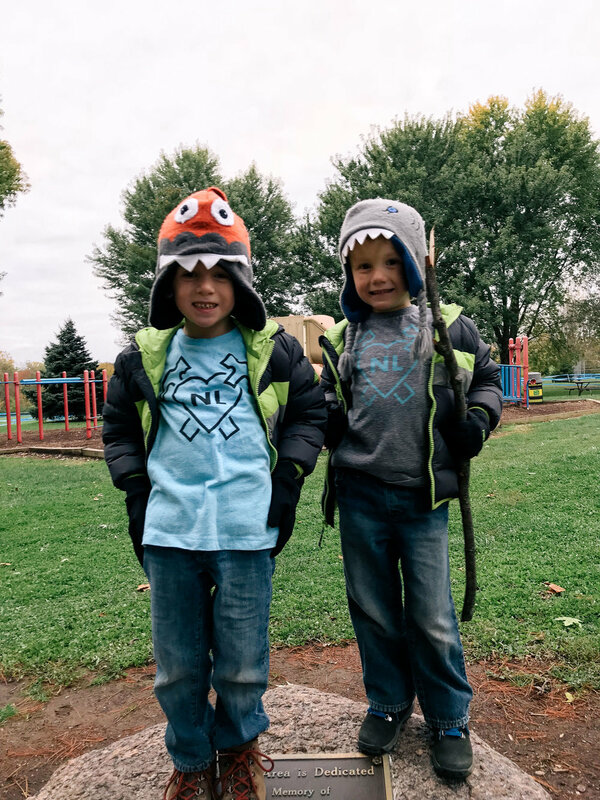 Most of our sponsor dollars go to incentives and support for our Ambassadors, which have raised over $16,000 this year for projects at NeighborLink. Full list of results coming soon!